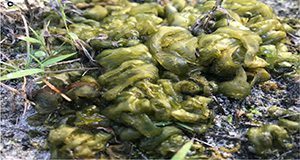 This new 4-page document provides an overview of the biology and ecology of Nostoc-like cyanobacteria (blue-green algae) in humid soils and discusses cultural, physical, and chemical methods to manage this weed in nursery environments. Written by H. Dail Laughinghouse IV, David E. Berthold, Chris Marble, and Debalina Saha, and published by the UF/IFAS Agronomy Department, February 2019. 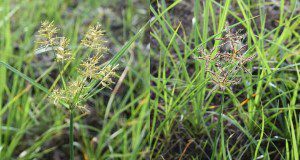 This new six-page document provides insight on characteristics and management techniques for both yellow and purple nutsedge, prevalent and persistent weeds in Florida. 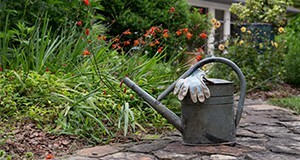 Written by Debalina Saha, Chris Marble, Nathan Boyd, and Shawn Steed and published by the UF/IFAS Environmental Horticulture Department, March 2019. This series of Key Plant, Key Pests publications are designed for Florida gardeners, horticulturalists, and landscape professionals to help identify common pests associated with common Florida flora. 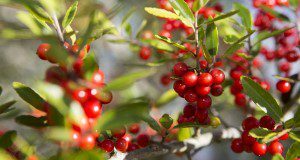 This publication, the eighth in the Key Plant, Key Pests series, helps identify the most common pests found on Holly (Ilex sp.). This publication provides information and general management recommendations for Florida wax scale, tea scale, Cylindrocladium leaf spot, dieback, Sphaeropsis gall, root knot nematodes, and magnesium deficiency. This five-page document was written by Juanita Popenoe, Caroline R. Warwick, Jacqueline Bourdon, and Liz Felter and published by the UF/IFAS Department of Environmental Horticulture. 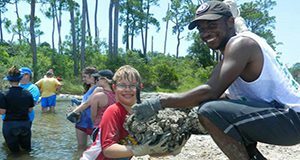 “Living shoreline” is a term that describes coastal shoreline stabilization interventions that rely on natural elements such as native vegetation and oyster reefs to protect property. Living shorelines typically involve construction or placement of materials within state waters (public lands that occur waterward of the mean high tide line). The Florida Department of Environmental Protection and other entities regulate the placement of living shorelines through a permitting process to ensure project activities do not conflict with the public interest. To streamline the approval process for environmentally beneficial projects such as living shorelines, the DEP has defined an exemption for small-scale living shoreline projects that meet certain criteria. 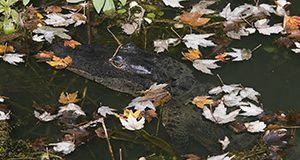 This 17-page fact sheet written by Savanna Barry, Sara Martin, and Eric Sparks and published by the UF/IFAS Florida Sea Grant College Program provides a guide to completing the exemption forms. 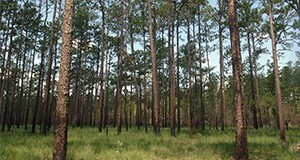 The southern pine beetle, Dendroctonus frontalis Zimmermann, is the most destructive insect pest of pine in the southern United States. 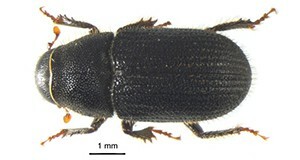 This 8-page fact sheet written by Demian F. Gomez and Jiri Hulcr and published by the UF/IFAS Department of Entomology and Nematology describes the beetle and includes advice on how to monitor for them and strategies for their prevention and control. Geosmithia are fungi associated with wood-boring bark beetles. Most Geosmithia species do no harm to host trees, but the canker-causing Geosmithia morbida and its beetle vector, the walnut twig beetle, cause the disease complex known as thousand cankers disease on walnut trees. Continuous surveys in Florida have found neither Geosmithia morbida nor its beetle vector in the state, but many native Geosmithia species have been recovered. 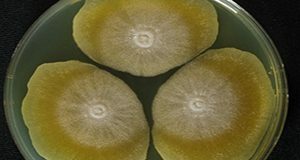 These native species look similar to the pathogenic fungus but are harmless to their plant hosts. This 4-page fact sheet written by Yin-Tse Huang and Jiri Hulcr and published by the UF/IFAS School of Forest Resources and Conservation provides basic guidelines to sample Geosmithia species in the field and information for distinguishing the plant pathogenic Geosmithia morbida from other Geosmithia species. Antibiotic-resistant microorganisms cause millions of illnesses and cost billions of dollars in the United States each year. This 5-page fact sheet written by Chad Carr, Matt Hersom, K. C. Jeong, Nicolas DiLorenzo, Jason Scheffler, Victoria Roberts, Gina Faniola, Stephanie Miller, Haley Denney, Nahilia Williams, and Bianca McCracken and published by the UF/IFAS Department of Animal Sciences discusses the use of antibiotics in cattle production operations and answers some common questions about antibiotics and antibiotic-resistant microorganisms. La Ley del Agua de la Florida de 2016 es una política de agua integral que aborda los problemas críticos de abastecimiento de agua y calidad de la Florida. Entró en vigor el 1 de julio de 2016. La Ley del Agua de la Florida de 2016 creí la Ley de Protección de Acuíferos y Manantiales de Florida, codificó la Iniciativa de la Florida Central y revisó la Ley de los Everglades y Estuarios del Norte. Written by Michael Olexa, Tatiana Borisova, and Jarrett Davis and published by the UF/IFAS Food and Resource Economics Department. La Ley del Agua de Florida de 2016, una política integral de agua que aborda los problemas críticos del suministro y la calidad de agua en la Florida, entró en vigor el 1 de julio de 2016. Creó la Ley de Protección de Acuíferos y Manantiales de Florida, que protege los manantiales alimentados por el acuífero floridano. Written by Michael Olexa, Tatiana Borisova, and Jarrett Davis and published by the UF/IFAS Food and Resource Economics Department. 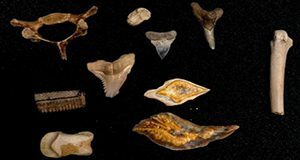 Hundreds of millions of years of geologic processes lead to the formation of Florida. This 7-page fact sheet written by Kyle W. Bostick, Shelly A. Johnson, and Martin B. 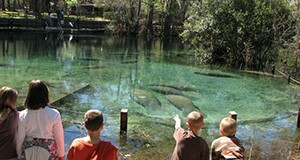 Main and published by the UF/IFAS Department of Wildlife Ecology and Conservation describes the 3 primary processes that created Florida as we know it today: plate tectonics, carbonate production, and siliciclastic invasion, as well as major processes like sea-level change that continue to reform the morphology of the Florida Platform today. Tatiana Borisova y Tara Wade, Departamento de Economia de Alimentos y Recursos, UF/IFAS. This is the Spanish translation of “Florida’s Water Resources,” available in English here. 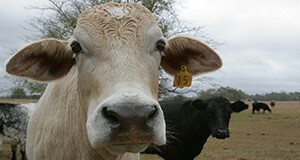 Nationally, there is great interest in wildlife forages. Florida's light and sandy soils, hot and humid summers, and seasonal droughts pose unique challenges for successful food plot plantings. This 5-page document provides updated cool-season forage recommendations for wildlife food plots in north Florida. Written by A. R. Blount, M. Wallau, H. K. Ober, E. Rios, J. M. B. Vendramini, J. C. B. Dubeux, Md. A. Babar, C. L. Mackowiak, and K. H. Quesenberry, and published by the UF/IFAS Agronomy Department, revised November 2018. 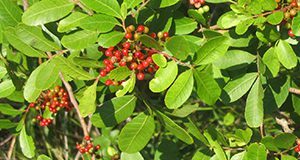 Brazilian peppertree is encroaching upon nearly all terrestrial ecosystems in central and south Florida. This 5-page document discusses the plant's habitat, identification, characteristics, and biology as well as control methods. Written by K. T. Gioeli, S. F. Enloe, C. R. Minteer, and K. A. Langeland, and published by the UF/IFAS Agronomy Department, revised November 2018. Shallow-water coral reefs have seen large declines in coral cover over the last 40 years. This 19-page guide written by Joseph A. Henry, Roy P. E. Yanong, Maia P. McGuire, and Joshua T. Patterson and published by the UF/IFAS Program in Fisheries and Aquatic Sciences of the School of Forest Resources and Conservation describes Scleractinian (stony) corals that were once prevalent on reefs in Florida. 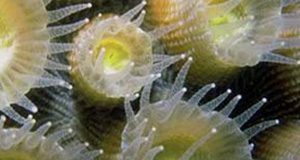 The Coral Reef Protection Act in Florida prohibits damaging coral reef habitats in any way, and several of these species are federally protected under the Endangered Species Act. In their natural environment, these corals should never be handled or touched. Although several of the species discussed here are growing more numerous due to their wide tolerance, the overall condition of coral reefs along our coastline is declining, and the reefs are highly threatened because the most important reef-building corals are in a state of decline. 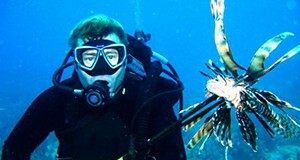 A disease first reported in the summer of 2017 has been causing skin ulcers in invasive lionfish off the coasts of Florida and the Caribbean. Fish health scientists are investigating this disease, but initial evaluations have not yet found the cause. This 7-page fact sheet written by Holden E. Harris, Alexander Q. Fogg, Roy P. E. Yanong, Salvatore Frasca Jr., Theresa Cody, Thomas B. Waltzek, and William F. Patterson III and published by the UF/IFAS program in Fisheries and Aquatic Sciences of the School of Forest Resources and Conservation describes research efforts to discover more about this disease and its potential to spread to other species as well as its effect on lionfish populations, the lionfish fishery, and reef fish communities.